EghtesadOnline: A memorandum of understanding for the construction of 44 vessels worth €140 million was signed by Minister of Defense and Armed Forces Logistics Amir Hatami and Roads and Urban Development Minister Mohammad Eslami on Sunday. In the first phase of the agreement, which is valid for 36 months (until the end of the Iranian year 1400 (March 2022), four vessels worth €9.5 million are to be built by Marine Industries Organization, affiliated to the Defense Ministry, and delivered to the Ports and Maritime Organization of Iran, affiliated to the Roads Ministry, within 15 months from the signing of the MoU, Roads Ministry's news website reported. Amir Rastegari, the head of MIO, said 70% of the equipment used in these vessels will be supplied domestically. “We will be building different kinds of police, patrol, mother sar, dredging, fireboat, passenger and recreational vessels as well as night-vision devices and telecommunications equipment,” he was quoted as saying by ISNA. Mohammad Eslami said that the agreement is a vital and practical step taken in support of products made in Iran, adding that the MoU will help Iranian businesses active in the marine sector use their full capacity, Financial Tribune reported. 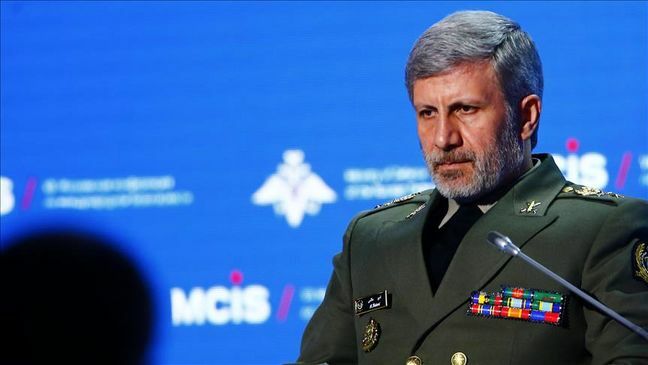 As Defense Minister Amir Hatami said on the sidelines of signing the MoU on Sunday, the Islamic Republic is going to rely on its domestic shipbuilding capacity and capabilities to meet its needs. "As per the MoU signed today, Marine Industries Organization will build the vessels using local capabilities, which is a big step in doing away with our dependency on foreign countries in this regard," he said.